I’m Melissa Wurst. I’ve been involved in linguistics and cultures since 1989 and I have a true passion for this industry. I started this company in 1998. But why are we in this business and what do we believe? At LSI, we believe that we can be a part of global change. For me, that means being part of shaping other people’s perspectives toward the world around us and helping to grow our client’s global competency skills as we work with them. I believe that being involved in one communication by one communication and one person by person, we can in fact be part of global change. Those changes may mean increasing one’s awareness of global issues and their impact, appreciation of cultural diversity and acquisition of in-depth knowledge and understanding that occurs when you work with global communications. We work with companies but we really work with individuals within those companies. 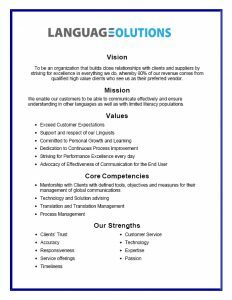 As the President of Language Solutions, I am personally invested in each of my clients. We are our client’s first call when they have a question about global, are vetting an idea or need further research or information to build their business case. With my company, you will have dedicated points of contact here with excellent project managers who will take such great care of you. We are focused on cultivating that long term relationship with you and our clients value the level of service they receive. Won’t you contact us and see if we are the right fit for you? Choosing a language services provider is a risk you take. If you are new to purchasing translation services and choosing a provider or if you’re wishing to move from an existing relationship, we understand the risk that comes with that decision. How do you evaluate the translation? How do you decide between companies? What exactly do you really need? This is where we’d like to invite you into the conversation and find out what is important to you. How involved would you like to be in the translation process? Do you want to understand the technology that is used? Do you want to learn how to increase efficiency and reduce your overall costs? Do you just want the job done and off your plate? Do you need support in determining your exact strategy for your multilingual communications? 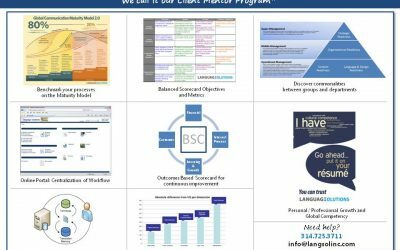 Instead of a Service Level Agreement based on deliverables with a provider, consider an Outcomes Based Agreement that identifies what you want from your relationship with us and how we will be held accountable for and deliver those outcomes. Wouldn’t you agree that trust is a major factor in your decision with a new provider? We’ve earned our clients trust by going beyond just delivering accurate translations. 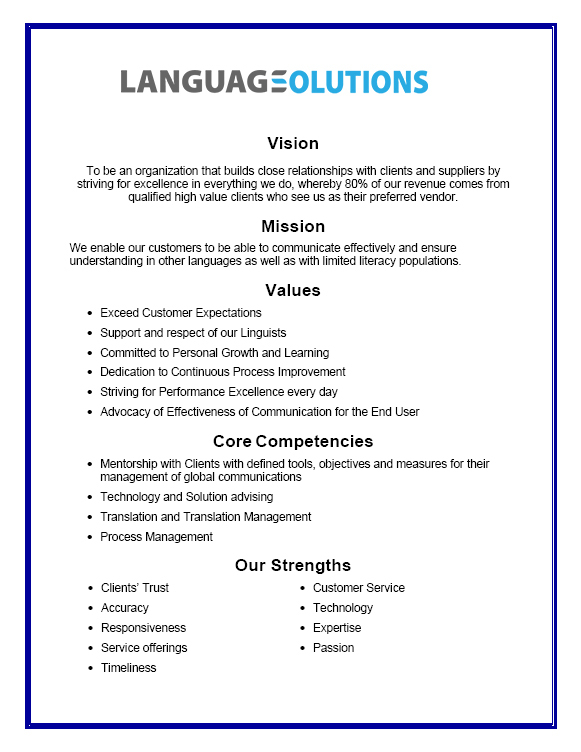 We add value by taking traditional translation services to a whole new strategic level. Our recent Voice of the Customer Initiative showed that all of our clients continue to remain with us because they trust us…..and they like us. Let us be a partner to your success.